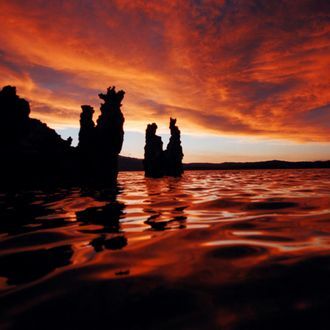 The science world was turned upside down in December of 2010 when it was announced that a maverick form of bacteria in California’s Mono Lake was thriving on arsenic and none of the other six elements (carbon, hydrogen, oxygen, nitrogen, phosphorous, and sulfur) considered essential to life. But the claim was viewed skeptically, and now two new buzzkill studies published in Science conclude that the bacteria doesn’t subsist on arsenic after all. Scientists remain impressed, however, that some forms of life can survive on Taco Bell alone.